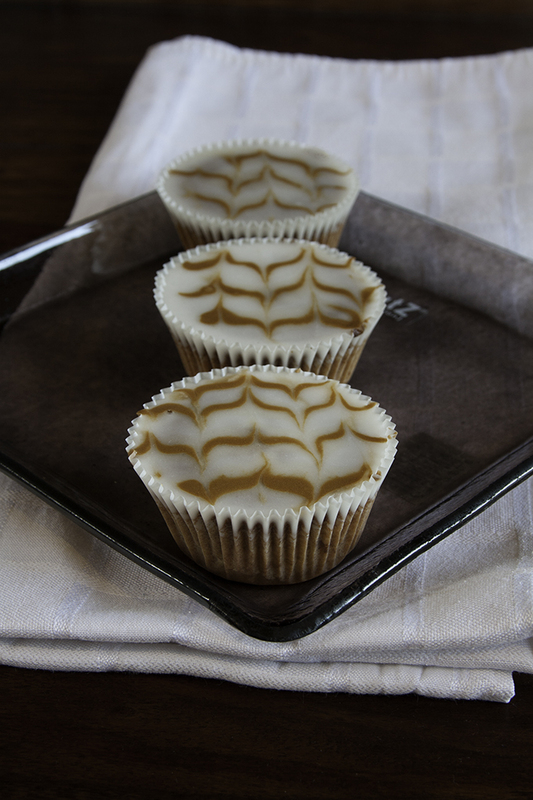 These small treats are just perfect for everyone coffee-addicted (my boyfriend) but also for those who are not 🙂 The coffee can be found inside the cupcakes in form of dissolved coffee powder, but also in the icing, which is partly mixed with coffee and than added in small lines on top of the normal icing to create a special effect. They look quite fancy but are really easy to make. Mix the icing sugar with some water until you get a smooth icing, slightly runny. Set about a third of the icing aside and dissolve some of the powdered coffee and at it to the icing until you get a nice brownish icing. 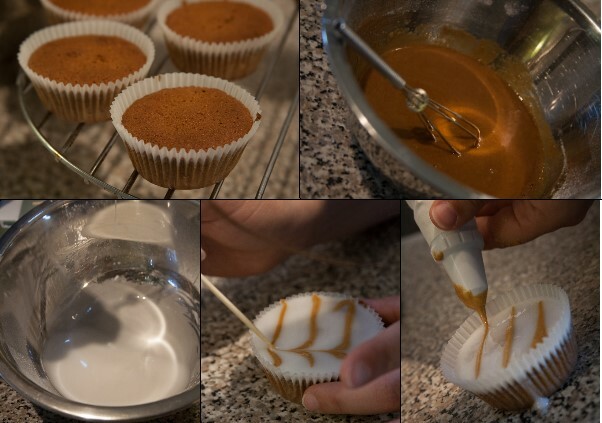 First add the white icing on top of your cupcakes, I find it easiest by just using a small spoon. Than fill a piping bag with the brown icing, and using a fine nozzle pipe small lines on top of the white icing while still soft. Finally by using a cocktail stick draw along the lines in opposite directions to create the special effect! It is as simple as that 🙂 Try using it on top of cakes as well, it looks quite impressive but is very easy to make. If you don’t fancy that much coffee in your cupcake you could also use food coloring.